The Barn Scroll Down to View More Pictures. 5' Sidewalls and a loft included. 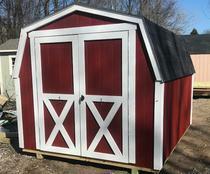 All Shed Prices include Delivery and Installation. Custom and Larger sizes available upon request. Prices Subject to change without notice. Sheds come primed, Painting is additional. Paint & Trim two Colors Add 15%. The Barn is a traditional American backyard shed. 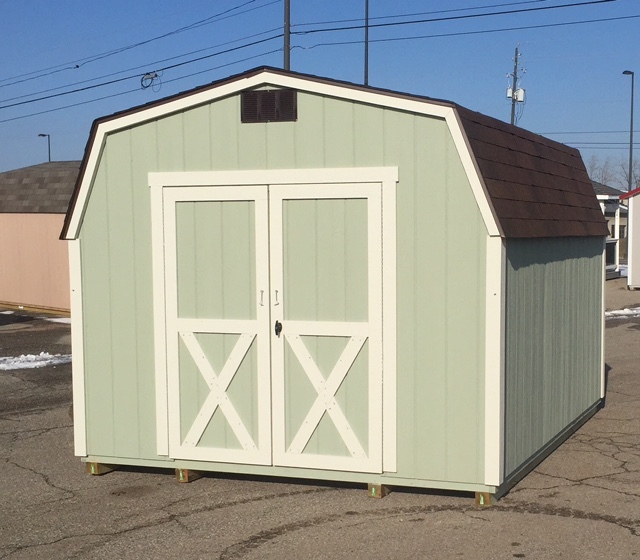 It features quality materials the same as our other buildings, including 4x4 pressure treated runners, 2x4 Pressure Treated floor joists on 12" centers, a 3/4" Dryply Lifetime plywood floor, 2x4 Framing on 24" centers, 25 year shingles drip edge, Duratemp Plywood siding. The Barn is our lowest price Shed.